Winnipeg-based entrepreneur Regan Galicia has had a hand in art and craft making for as long as she can remember. A longtime knitter who has dabbled in everything from soap-making and macramé to watercolor painting, Galicia wasn’t satisfied with the vegan selections in big stores. Two years ago, Galicia launched Things Human, a vegan and eco-conscious online art and craft supply store. 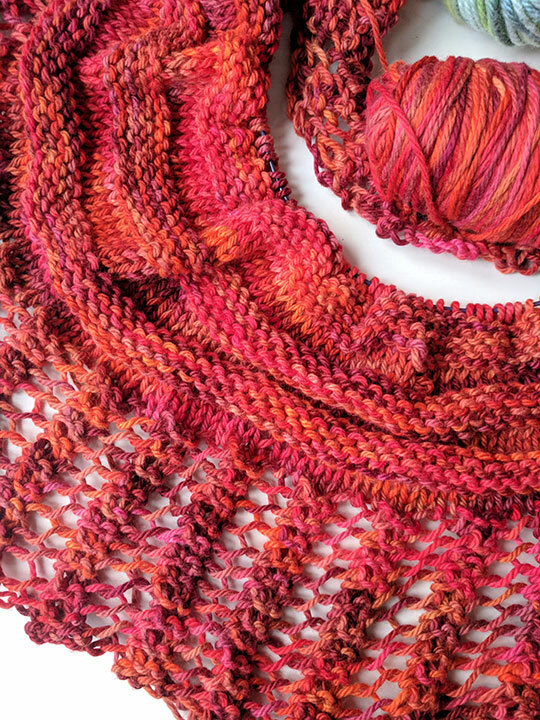 A scarf in progress by Galicia using Alnilam Worsted “Kyo” from Vegan Yarn, a brand carried by Things Human. “I’ve got bins stacked in the basement, in various closets, wherever they fit,” says Galicia, referring to the numerous vegan paints, pigments, inks, yarns, waxes, children’s crafts, and more offered for sale on the Things Human website. Galicia had been vegan/vegetarian on and off since age 13 when she received a horrific flyer along with a T-shirt she ordered from political punk band Propaghandi. “It was the first time that I saw pictures of cows on a kill floor and read about cramped chickens unable to move their whole lives … In fact, for as long as I held on to that flyer, I don’t think I ever read the whole thing – I couldn’t,” says Galicia. But, around five years ago during a period of deep self-reflection, Galicia fully committed to veganism. It was then that she realized certain activities and purchases had been blind spots. Galicia gave up wool for knitting, but wasn’t thrilled at having just cotton and acrylic to work with. After investigating yarns, Galicia continued to research and contact companies about other art supplies. And so, Things Human was born. 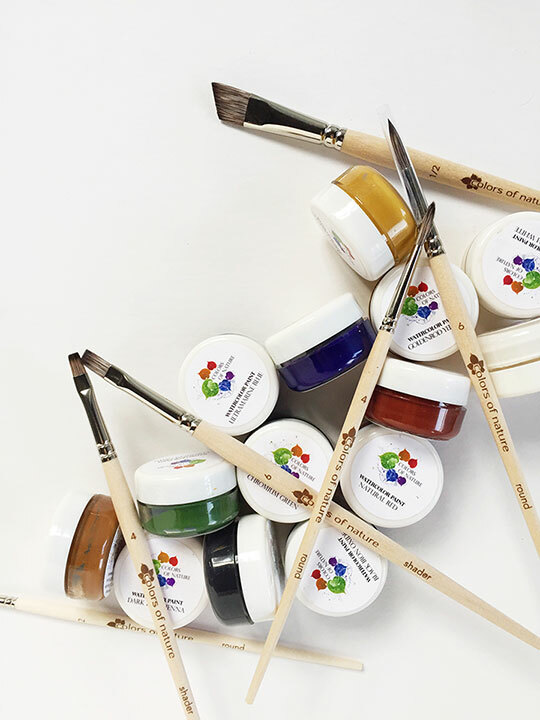 Vegan watercolors and brushes by Colors of Nature available at Things Human. Galicia seeks out earth and health conscious products for Things Human. These include items like art pads made from mango industry waste, and turmeric dyed wooden buttons. In the interest of having more options, Things Human also carries a few bigger brands like Derwent. But Galicia only works with companies that explicitly confirm whether their products are vegan. She also re-checks when restocking in case formulas have changed. Galicia is working to expand Things Human’s selection to cater to even more fiber artists like felters and spinners, as well as jewelry makers, (vegan) leather artists, and general crafters. Besides online sales, Things Human regularly operates a booth at local veg fairs. Galicia has a larger goal of creating a local community around vegan art and craft making. She envisions having a studio with workshops in different media, along with a store that will be secondary to learning and art making. Some vegan art supplies that Galicia is currently excited about are crayon blocks to use with her baby, and banana yarn she’s using to make a rug. Galicia runs Things Human while also studying canine and human pediatric nutrition. This interview was conducted over a series of e-mails.